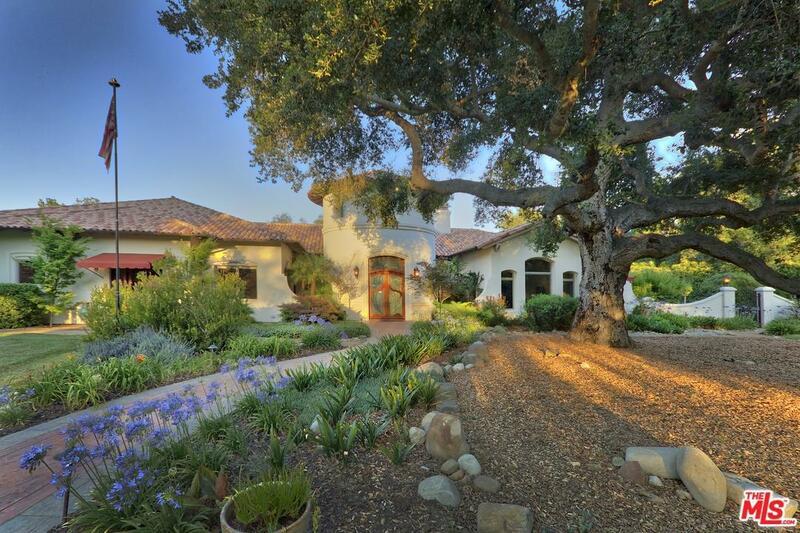 Experience the magic & romance of Ojai in this mountain view estate that is every bit bold & beautiful. Located behind the gates of Rancho Matilija, this property offers impeccable style & finishes & is quietly sited on 2 lush acres w/a private well, multiple fruit trees, raised vegetable beds, specimen roses, a succulent garden & spacious lawn. The single level 4 bed main house was designed w/immaculate attention to detail, w/an inviting open floor plan that effortlessly blends functionality w/ elegance. A well-appointed master suite enjoys mountain and garden views and invites easy living with a spacious bathroom, 2 closets, den and steam room. Your guests can enjoy complete privacy in the 1-bedroom guest house with its own kitchen, fireplace and AC. There is plenty of space for boat & RV parking, + a large workshop/gym & separate potting room. W/limitless possibilities, this versatile estate is a rare find & the perfect antidote to a busy world. Live your best Ojai life here! Sold by Subscriber Non BRE#01209514 of Non-Participant Office.